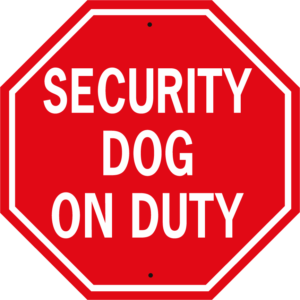 Security Dog On Duty stop - World Famous Sign Co.
put a stop to trespassers. 12×12 inch sign. Copyright © 2019 Signxing. All rights reserved. Website Design by All Pro Webworks, LLC.